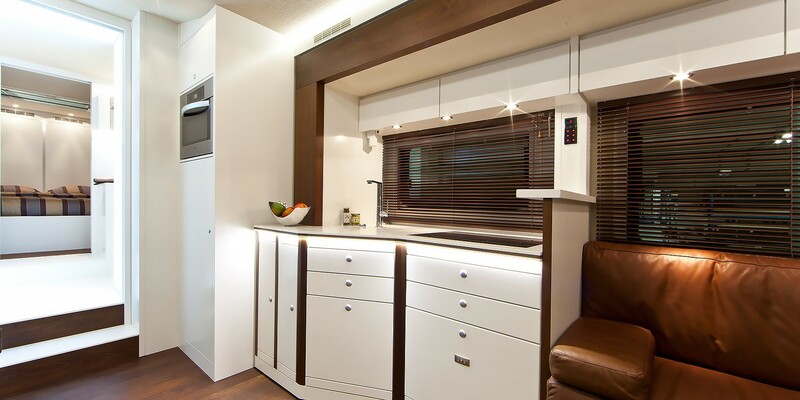 our experienced construction experts will unfold the vision of your ideal motorhome. 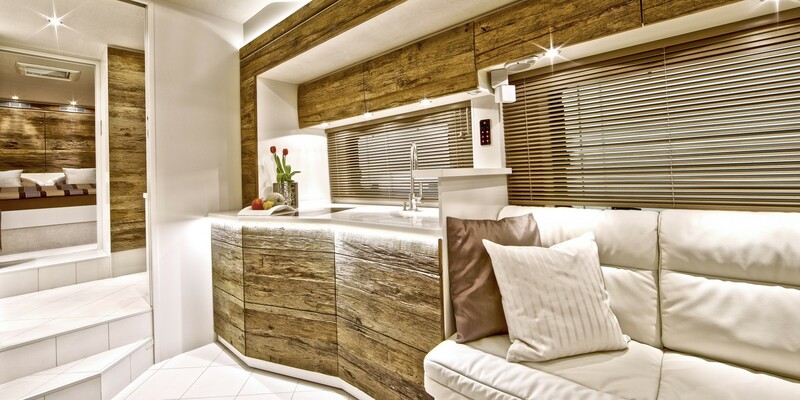 Enjoy 100% freedom of planning the layouts, designs, interiors and every other detail. 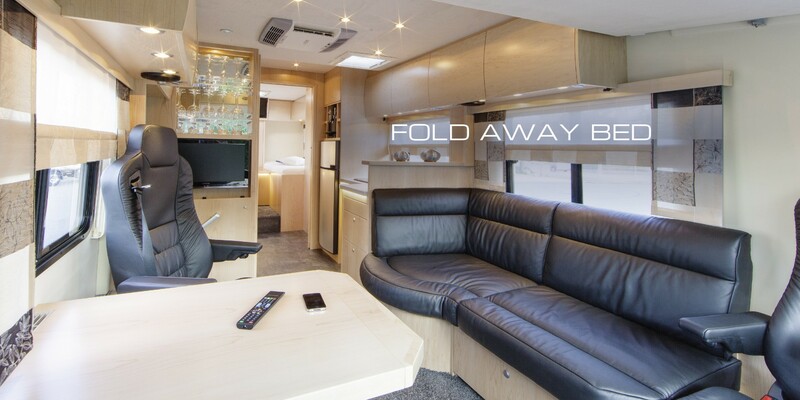 Integrated motorhome solutions for 2 to 4 people. It is only 2,36 m wide. Built on chassis up to 7,5 t. It is especially compact and quite flexible and offers driving comfort. Single and double beds. 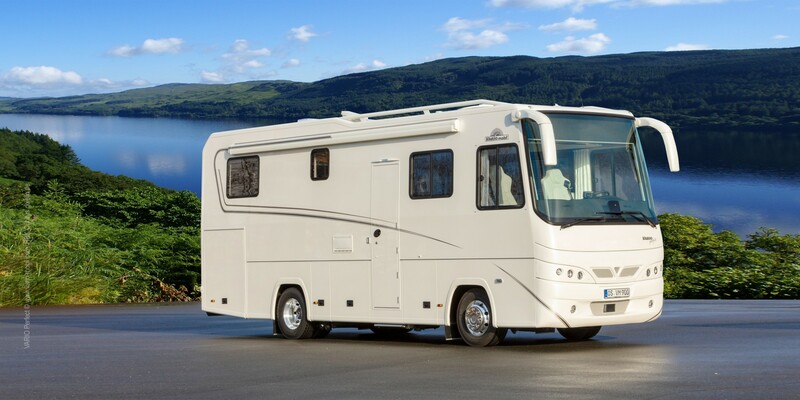 Raised roof tops in the rear section for a maximum of headroom in the sleeping quarters. 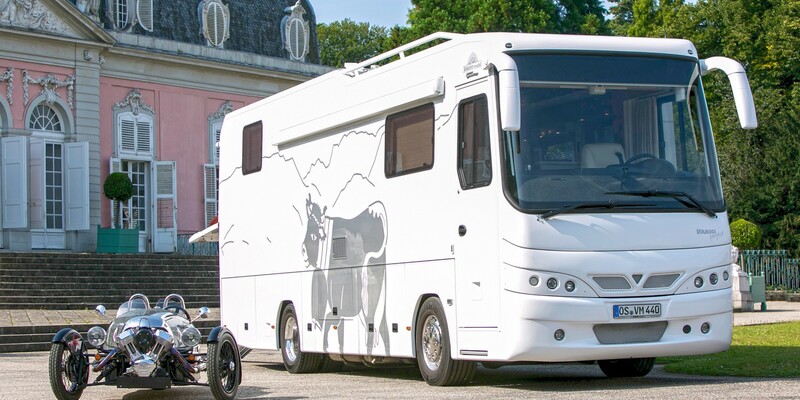 Integrated motorhome solutions built on truck or omnibus chassis from 7,5 - 26 t. From 2,50 up to 2,55 m width. Chassis base is either Mercedes-Benz or MAN. 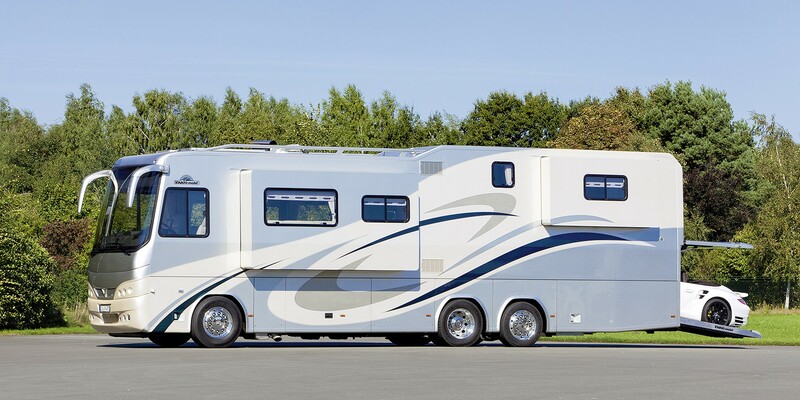 Custom-made layouts with up to three slide-outs and a garage are typical for luxury versions in that category. 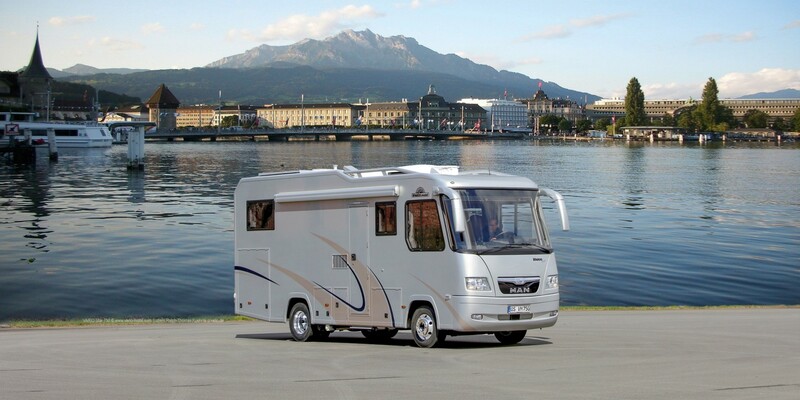 One motorhome but space for two separate sleeping quarters for at least 4 people. 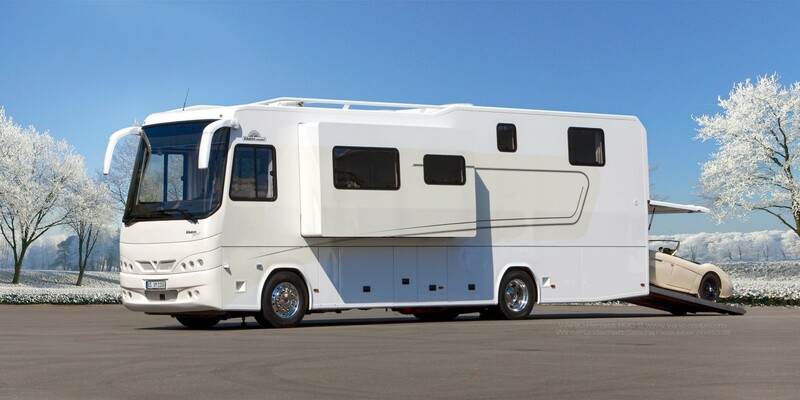 Chassis from 5 - 26 t and from 2,53 - 2,55 m width. 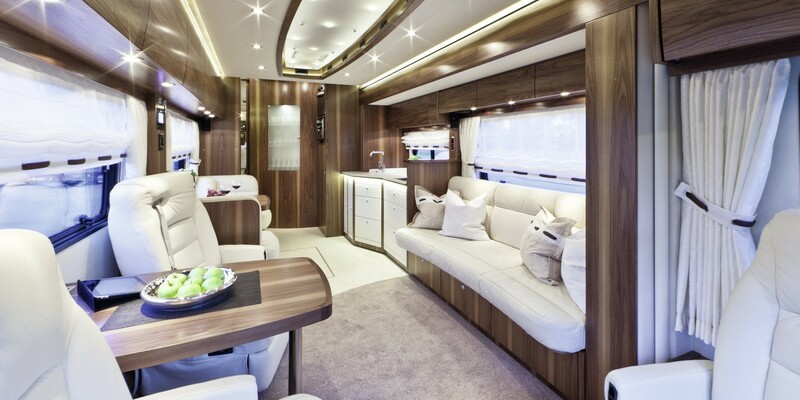 Exclusive custom-made interior concepts guarantee the highest comfort imaginable. The original front cabin of overall chassis remains as it is factory-made. 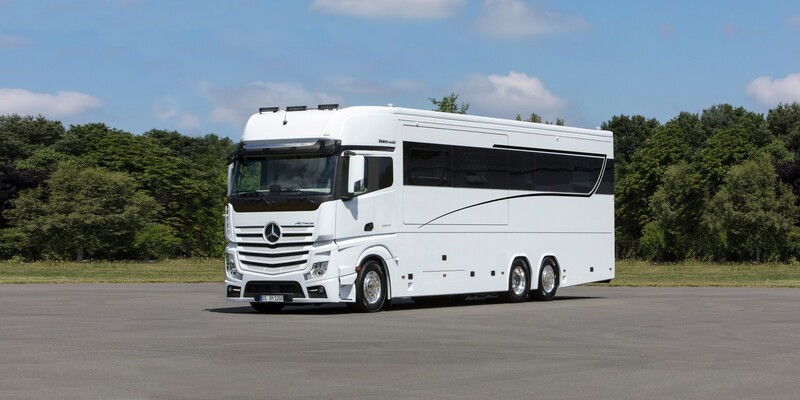 Mercedes-Benz Actros chassis from 18 - 26 t, 2,55 m wide. 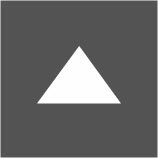 The partially-integrated integrated one. VARIO exclusive body contruction and the distinctive front / cab of the XXL driver's cabin with transversely adjustable second row of seats for quadruple pilot and co-pilot feeling merge into an optical unit. 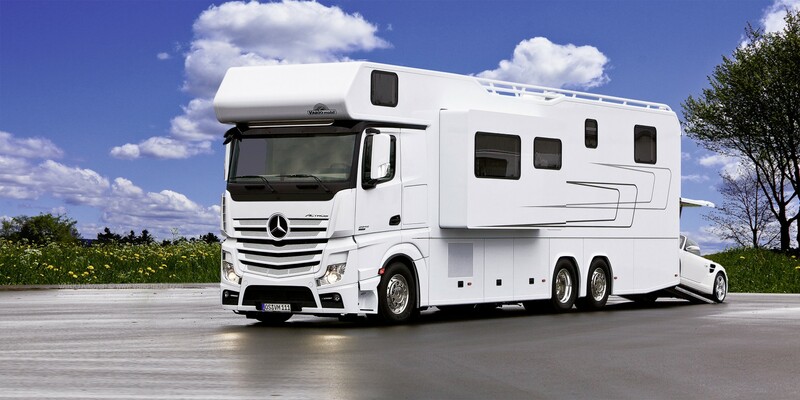 On top: the pneumatically-sealing living space Slide Out, a softly floating pull-down bed above the driver's cabin at full-height, as well as an intelligent 360 ° all-round vision system. Equally self-evident the aerodynamic roof spoiler, sporty stainless steel tailpipes, extensive driver assistance systems (track assist, attention assistant, distance control, etc.) as well as the large car garage for a convertible and e-bikes.